The goal of the project is to safely transfer the spent fuel onsite to a highly technically engineered storage pad. Once the fuel is safely removed deconstruction of the power plant will begin. Proprietary, proven technologies and process will be utilized to ensure worker and public safety during all decommissioning activities. The first goal of the project is to safely remove the spent fuel. This process involves removing the fuel from the fuel pool and loading it into specially engineered, licensed containers (“dry casks”) to be stored on a structurally sound concrete pad at the site. This type of storage allows the spent fuel to be readily transferred from the Zion site to the U.S. Department of Energy in the future. Once the spent fuel is placed safely on the storage pad deconstruction of the facility commences. The entire facility will be assessed for levels of radioactivity. All material contaminated with radioactivity will be transported and disposed of at a licensed disposal facility. 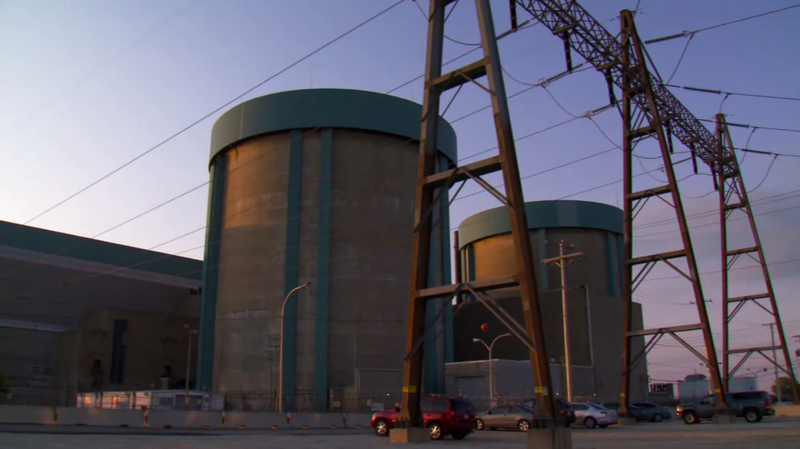 Upon completion of the assessment ownership of the land will be returned to Exelon. Action now will improve the environment, conserve resources, and save money. May 21st, 2018 at the main trailer at the Zion Plant. The Decommissioning of the Zion Nuclear Power Station is on schedule and the credit for this accomplishment goes to the dedicated work force that has embraced safety as a culture. This commitment to safety has not only lowered incidents but also allowed for the project to continue on schedule. Focused employees and efficient decommissioning methods continue to show why ZionSolutions, a subsidiary of EnergySolutions, is the leader in decommissioning of nuclear power plants. To learn more view this three minute video.